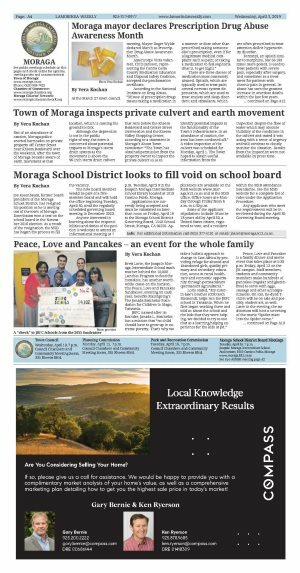 Brett Lorie, the Joaquin Moraga Intermediate School math teacher behind the 10,000 Lunches Program to feed the homeless, has another worthwhile cause on the horizon. 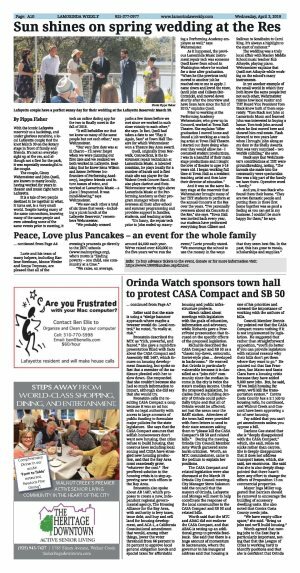 The Peace, Love and Pancakes fundraiser, entering its sixth year, benefits MainSpring's The Janada Batchelor Foundation for Children in Magu, Tanzania. JBFC, named after its founder, Janada L. Batchelor, has a mission that "no child should have to grow up in extreme poverty. That's why we take a holistic approach to change in East Africa by providing refuge for abused and abandoned girls, quality primary and secondary education, access to rural healthcare and economic opportunity through permaculture (permanent agriculture)." 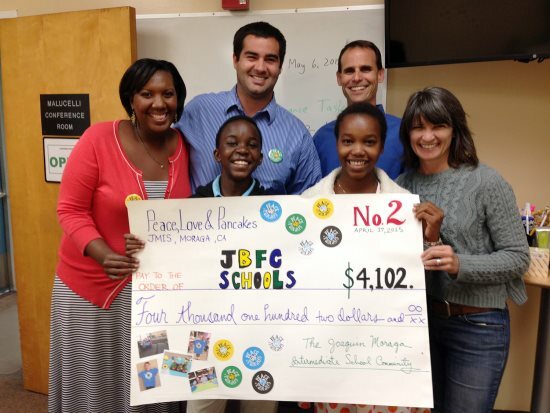 Lorie stated, "My sister-in-law's brother (COO Seth Diemond), helps run the JBFC school in Tanzania. When he first began working there and told us about the school and the kids that they were helping, we decided to try to use that as a learning/helping experience for the kids at JM." Peace, Love and Pancakes is a family dinner and movie event that takes place at 5:30 p.m. Friday, April 12 on the JM campus. Staff members, students and community members make hundreds of pancakes (regular and gluten-free) to serve with eggs, sausage and other accompaniments. On site, tie-dyed T-shirts will be on sale and possibly student art, as well. Later in the evening, the auditorium will host a screening of the movie "Spider-man: Into the Spider-verse." Lorie and his team of many helpers, including Karlene Steelman, Moose Wesler and Sonya Twyman, are pleased that all of the evening's proceeds go directly to the JBFC schools (www.mainsprings.org), who's motto is "Ending poverty - one child, one community at a time." "We raise, on average, around $4,000 each year. We've raised over $20,000 in the five years we've run the event," Lorie proudly stated. "We encourage the school to use the money in the ways that they seem best fits. In the past, this has gone to meals, scholarships and supplies."